Is Food Coloring Bad for You? All of those brightly colored cereals, candies, and drinks that are marketed to children are hurting them, and this is widely recognized as true. But food companies continue to pump the petroleum-derived artificial colors into foods and no one has done anything about it. A report from the Center for Science in the Public Interest highlights (CSPI) the dangers of these additives and asks why the Food and Drug Administration (FDA) hasn’t done more to stop them. According to the report, Food Dyes- A Rainbow of Risks, food manufacturers put about 15 million pounds of artificial colors into our food every single year. 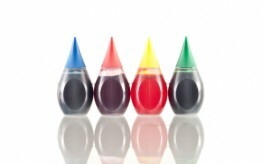 Since 1955, our consumption of these dyes has risen five-times. And while we think of the rainbow-colored sweet cereals, kid-friendly yogurts, and sugared drinks as being the biggest offenders, artificial colors are found in a wide variety of the foods we eat. These dyes have been linked to allergic reactions, hyperactivity in children, and even cancer. The FDA itself has even recognized Red #3 as being a carcinogenic dye, but has yet to take it off the market. The Grocery Manufacturers Association has continually spoken out against the criticisms, saying food dyes are perfectly safe, saying science has found “no demonstrable link” between dyes and hyperactivity in children. But, if you have a child with ADHD or know a health-wise person who does, there’s a good chance you’ve heard a first-hand account on how food colors can affect their child’s behavior. Is food coloring bad for you? The FDA has banned artificial colors in the past. In 1950, they banned Orange No. 1 after numerous children fell ill after eating Halloween candy. Next, they banned Red No. 2 in 1976 after it was suspected to be carcinogenic. But the CSPI says that all of the most popular food colorings are contaminated with cancer-causing agents. It’s obvious the FDA knows these additives are not completely safe. After all, they do not allow companies to claim that any dyes are “generally recognized as safe” (GRAS), and require that every single batch of food dyes be tested and certified to ensure it meets current legal standards. In recent years, as some consumers have become more conscious of the potential poisons in their food, some food manufacturers have responded by using natural colors, including those made from vegetable dyes (like beets). But, the largest food makers and the rainbow-colored kiddie treats are certainly not yet following the trend. Is food coloring bad for you? You bet. I am really impressed with your writing talents as neatly as with the layout to your weblog.